Explore the best of the Yorkshire Coast and North York Moors with a visit to its seabird colony, the charming fishing village of Robin Hood’s Bay and a wonderful trip on the North Yorkshire Moors Railway, enjoying spectacular scenery. From Hull, head north stopping at Burton Agnes Hall, filled with beautiful historic treasures and award winning Gardens. Have lunch in Bridlington while enjoying the variety of boats in the ancient fishing harbour. Then head on to the dramatic cliffs at Flamborough Head and view the huge seabird colonies at nearby RSPB Bempton Cliffs. 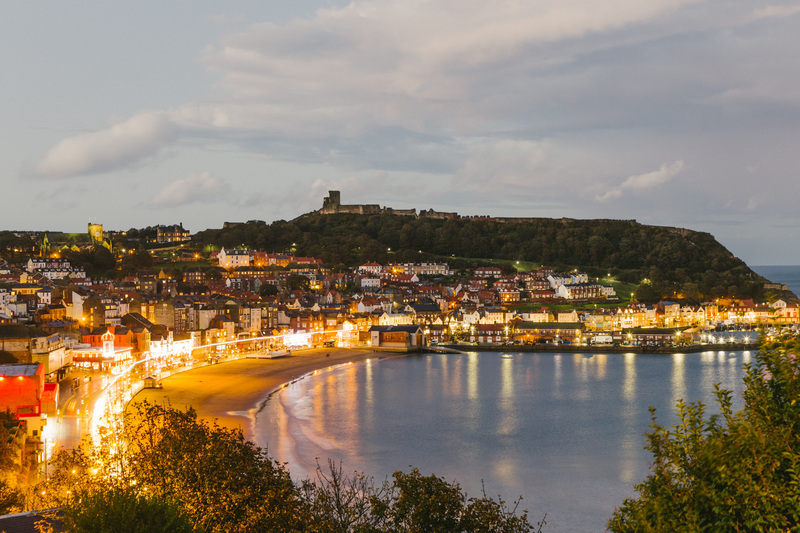 Spend the day exploring Scarborough with a visit to the spectacular cliff top Castle and the Rotunda Museum to find out more about the area’s unique geology. Visit the ancient fishing village of Robin Hood’s Bay on the edge of the North York Moors with colourful houses winding higgledy-piggledy down to its ancient harbour. Visit the Old Coastguard Station or walk along the Cleveland Way to Ravenscar, a scenic spot rich in industrial history. Drive on to Whitby and visit the Captain Cook Memorial Museum. Visit Whitby Abbey, the inspiration for Count Dracula stories, for spectacular views from the gothic ruins and explore its history at Mansion Visitor Centre. Then take a round trip on the heritage North Yorkshire Moors Railway and steam through the heart of the beautiful North York Moors National Park. Whitby is famous for its fantastic fish and chips so make sure you try this classic British dish either from a traditional takeaway or one of the town’s excellent seafood restaurants. Explore the quaint fishing village of Staithes, the artists’ capital of Yorkshire and home of Captain Cook and Staithes Heritage Centre. Follow the Painted Illusion trail and wander through the art galleries and studios. Enjoy a leisurely local lunch and then head back to Hull with optional stops at Beverley Minster or Sewerby Hall. EXPLORE THE YORKSHIRE COAST, CREATE YOUR BESPOKE ITINERARY NOW!